New Year, New Me? Probably not, but New Year, new recipes? Yes! So to kick start 2017 I have a healthy, winter-warming bake for you all, which is also vegan, so perfect if you’re taking part in Veganuary. At the end of last year (so, so long ago!! 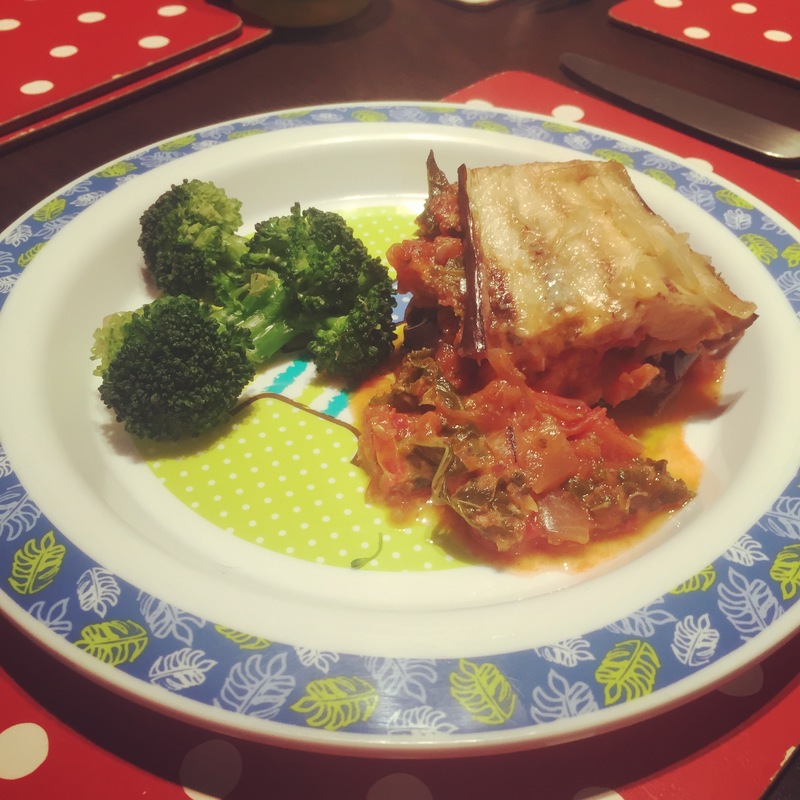 ), I looked over the most popular and my favourite recipes of last year and rediscovered a yummy one- Butternut Squash and Kale Lasagne. I’ve based the sauce for this recipe on the lasagne one, using a pack of Rainbow Vegetable Couscous from Tesco which makes a tasty base, packed full of hidden veggies! This recipe also includes Oatly’s Creamy Oat Fraiche which I’m giving a second chance. Now, if you are a regular reader of mummybakesdairyfree then you’ll know that I love Oatly. It’s little one’s substitute milk of choice. I’ve used it in my cooking since she was 7 months old and we can’t get enough of the chilled custard. However, when I first tried the Oatly version of creme fraiche I was less than impressed, you can read my review here, but many others said that they loved it. So I tried it again in this recipe and what can I say? I’m a convert!! 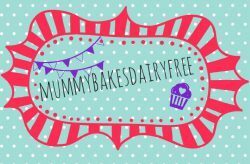 (And no, mummybakesdairyfree is not sponsored by Oatly in anyway, but I am open to offers…). So onto the recipe. 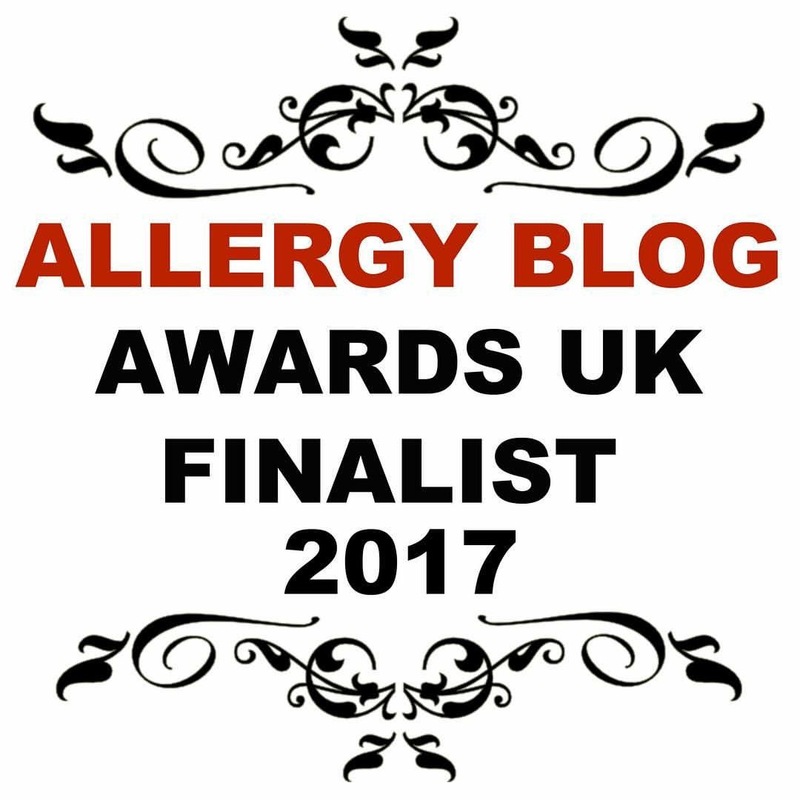 It’s a nod to moussaka, but without the lamb or a meat substitute such as lentils, which is also on the list of little one’s intolerances. It went down pretty well on the whole, although I don’t think little one is overly keen on aubergine. I served it with broccoli which is always a hit! Lightly brush the aubergine slices with some of the olive oil. In a griddle pan over a medium heat, cook the aubergine for a couple of minutes on each side. You many need to do this in stages. Leave to one side. Heat the remaining oil in a large saucepan. Cook the onion, garlic, carrot, celery, and vegetable couscous over a medium heat until soft. Stir in the tomato puree and herbs, cooking for a few minutes. Tip in the tinned tomatoes, stock and turn up the heat until starting to boil. Then reduce the heat to a gentle simmer, cooking for 20 minutes. Add the kale and cook for a few minutes. 2. In an oven proof dish place a third of the vegetable and kale sauce on the bottom and spread out evenly. 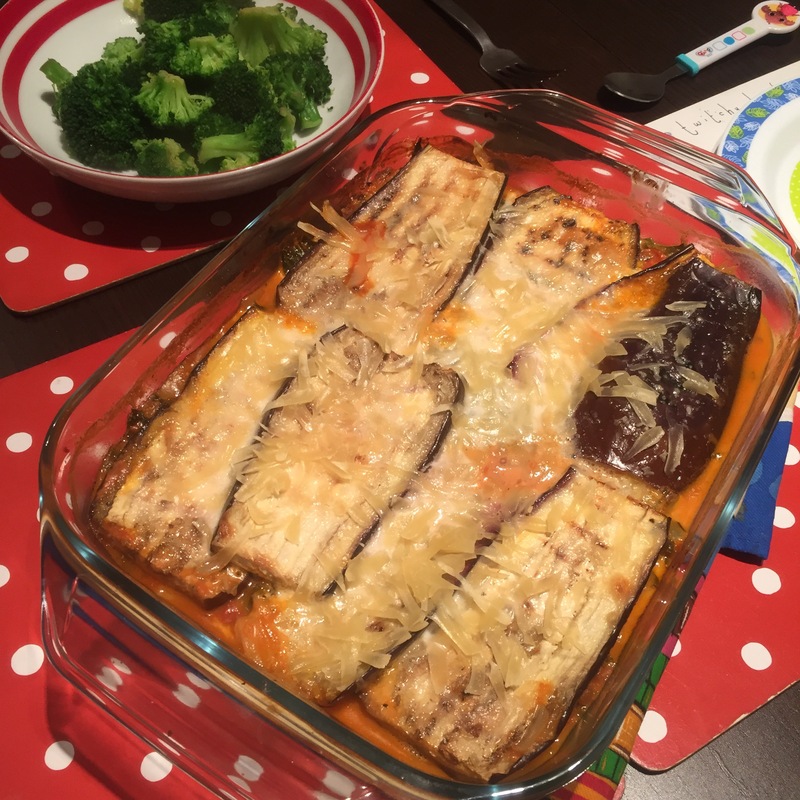 Then cover with a layer of aubergine slices. Top with another third of the sauce. 3. Repeat step two, finishing with a layer of aubergine followed by the creme fraiche. 5. Pop in the oven and cook for half an hour until the bake is bubbling! Allow the bake to rest for 10-15 minutes before cutting and serving as it helps to hold its shape. Dairy, egg, nut, soya and gluten free. Vegan. Vegetarian. Oooh I use Oatly ‘mylk’ (oat drink) but haven’t seen the creme fraiche! Must find! Ooo this sounds delish! And healthy. I love having a meat free monday however my husband is not so keen but I’m going to try this out and force him to eat! This looks so good, my daughter has recently become a vegetarian and this looks like a fab meal that we can all enjoy.